Having to share your home and your parents’ affection with a squalling newborn is just like contending with a pint-sized corporate shark with the voice of Alec Baldwin. That’s the contention of “The Boss Baby,” anyway, an animated film that offers plenty in the way of laughs, humanity and fun retro design before checking off all the boxes that seem to be expected of almost every major-studio animated film. 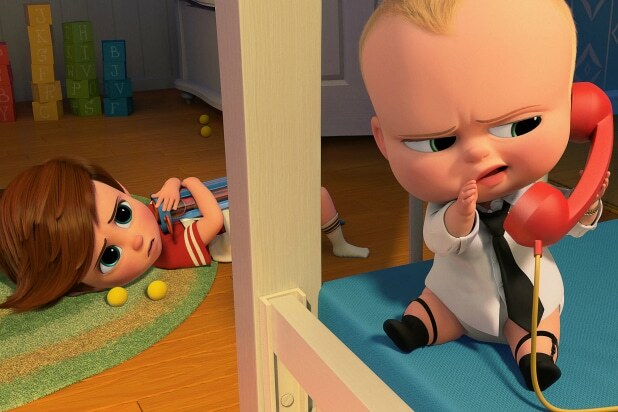 With “The Boss Baby,” however, the requisite plot beats seem to work against the story that director Tom McGrath and screenwriter Michael McCullers (adapting the children’s book by Marla Frazee) are telling — and even though that story is the “business is bad, family time is good” fable that so many kid movies tell, at least it offers a twist: the person who has to learn to leave behind the rat race is an infant, not a parent. Last year’s “Storks” (another underappreciated animated comedy) did a better job of creating an alternate reality of where babies come from; much of “The Boss Baby” requires you to just go with it. This time around, babies sort of emerge on a heavenly assembly line; most of them go down a chute to be born to a family, but the ones who don’t laugh when tickled become employees at BabyCorp, which is what happens to Boss Baby (voiced by Baldwin). Boss Baby’s arrival is most decidedly unwelcome to seven-year-old Tim (Miles Bakshi, grandson of animation legend Ralph). Like the protagonist of the 1970s hit single “Lonely Boy,” Tim is quite happy to be the center of a nuclear family where his doting, loving parents read him stories and sing him “Blackbird” every night at bedtime. Tim sees this interloper as nothing but bad news — Boss Baby constantly wears a suit and tie, which none of the adults seem to find all that unusual — and Tim tries to expose him as a fake. Mom and Dad, naturally, write this off as sibling rivalry. But then “The Boss Baby” has to throw in the evil schemes of Mom and Dad’s boss, one Francis E. Francis (Steve Buscemi), and Tim and Boss Baby’s begrudging teamwork to save the day, and a rocket countdown that must be stopped, and some none-too-subtle messages about the importance of family and imagination, and the movie winds up feeling like an amalgam of too many other cartoons you’ve seen in the last decade. That’s a pity because, at its best, “The Boss Baby” has a sly wit (the trailers give away the one and only “Glengarry Glen Ross” reference) and a fun visual style; narrator Tobey Maguire is telling the story as a flashback, and while the filmmakers don’t overdo the 1970s setting, they include plenty of great analog objects like tape recorders, Instamatic cameras and Rock-Em-Sock-Em Robots. 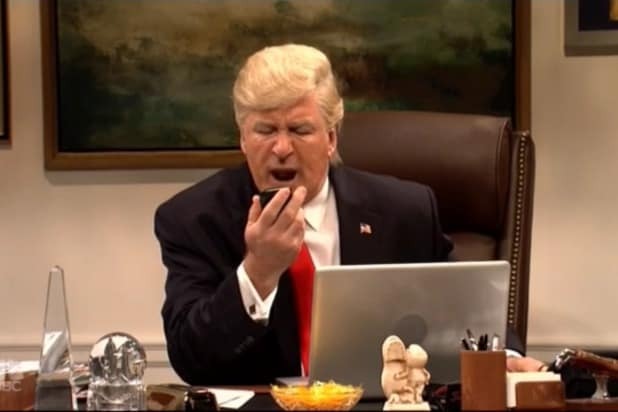 The voice cast seems game, but only Baldwin, in full Jack Donaghy mode, gets the best lines and the biggest laughs. (“Babies are like hot dogs: if people knew where they really came from, they’d never want one.”) He and Bakshi do have a nice bristly rapport that becomes mutually affectionate, and Bakshi never allows Tim to get too whiny, even when the character is absorbed in self-pity. There’s a sweet montage toward the end in which Tim and Boss Baby come to realize how much they got out of being brothers; it genuinely touches upon emotion while also demonstrating how often “The Boss Baby” runs in the opposite direction of real feeling in favor of bombast. There’s so much to like in this movie, but its best qualities are ultimately subsumed in formula. And not the nutritious kind.